The next generation of the best-selling Range Rover Evoque was launched on November 22nd, bringing new life to one of Land Rover's all-time bestselling models. The Range Rover Evoque, the vehicle that set the new design direction of Land Rover in motion in 2011, is finally moving into its second generation, taking serious design cues from the heralded Range Rover Velar. Though the Evoque isn’t exactly an adventure-mobile like some other Land Rover models, it’s certainly carved out its own niche in the marketplace. Since it was launched seven years ago, 772,000 have been sold worldwide. It may be a little bit anathema to the traditional Land Rover line, but customers love them, and Land Rover’s bottom line loves them even more. At first glance, the Evoque looks like…the old Evoque. After Land Rover’s recent drastic clean-sheet redesigns of the Range Rover line, Discovery, and Defender, it’s odd to see something look almost the same. But then again, maybe not. The Evoque was the first vehicle to set Land Rover down the path of its new design direction, and the first generation’s lines still look current as they were crafted into the other models. 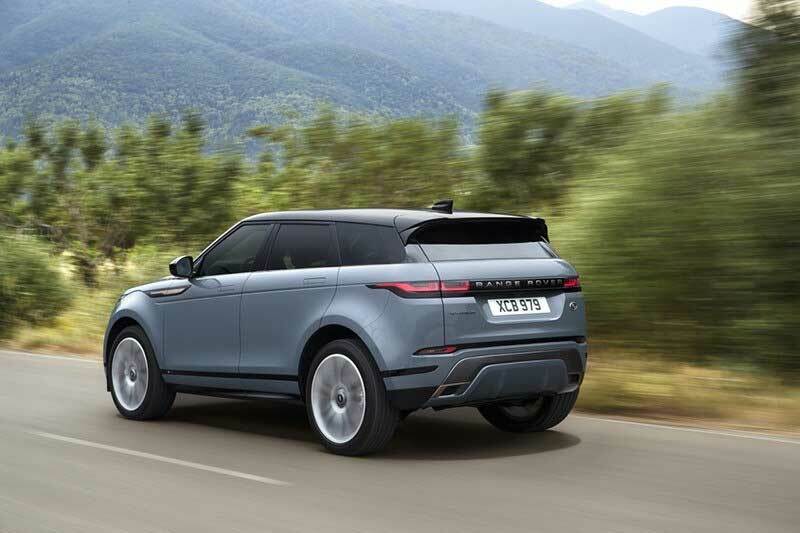 Instead, here we find the reductionist interpretation of this common design of the Velar trickling back to the former design leader, with cues from that vehicle like the flush-mount door handles and rear light bar showing up on the smaller Evoque. Even though the aesthetic isn’t too different, underneath the car is all-new; Land Rover made a point of saying that the only part carried over is the door hinges. 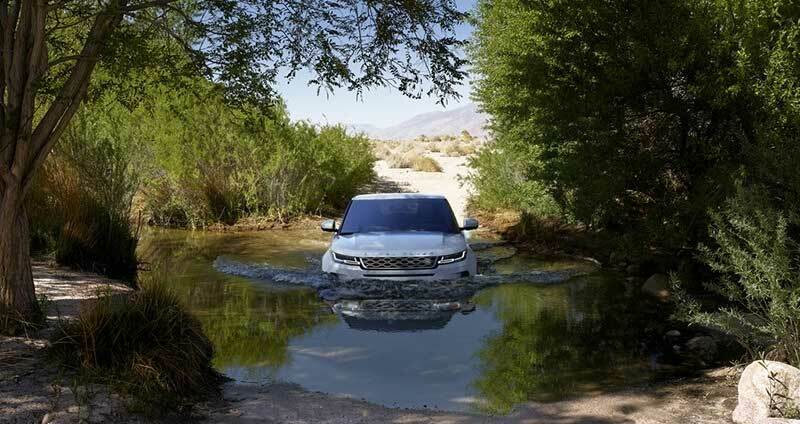 The hinges are attached to doors with the flush-mounted retractable handles of the Velar, and the sheet metal is cleaner and simpler than the outgoing model, with fewer creases and character lines. 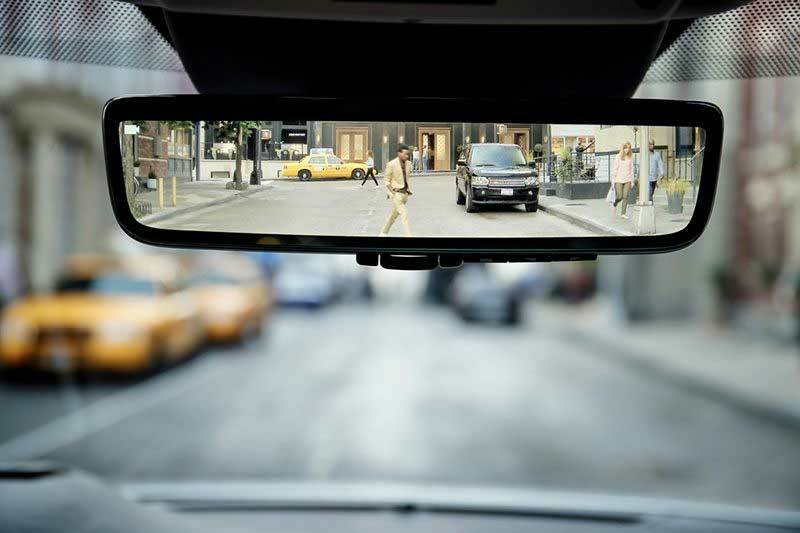 The back doors are also a little bigger – the new vehicle gains just under an inch of wheelbase, added to the rear seat. There’s also more cargo space. Up front, the big feature on the dash is the dual-touchscreen infotainment and control system that has trickled from the Velar through the rest of the lineup. 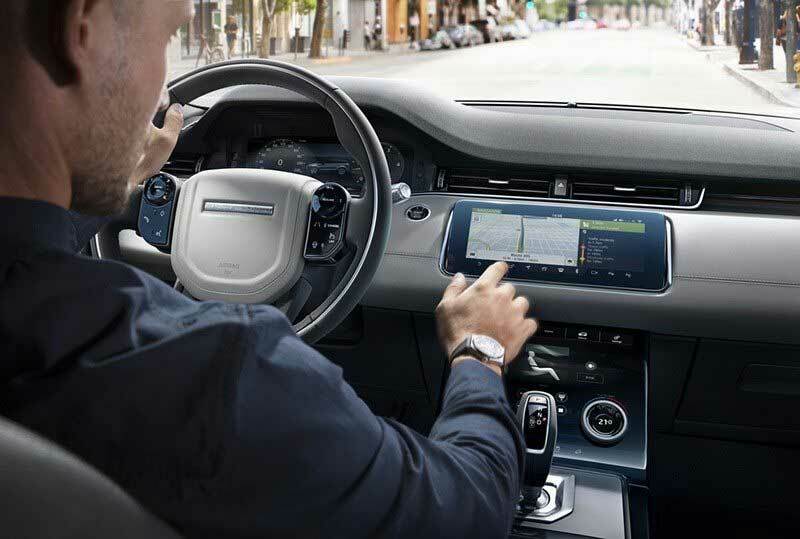 This includes Android Auto and Apple CarPlay, both features that Land Rover has been behind the competition in implementing. There’s also a digital instrument cluster, common on Range Rovers since the early 2010s with the last L322 models. Gone also is the rotary gear selector that has been used on most Land Rover models the past few years (though notably never the Range Rover Sport). Under the hood, there’s a mild hybrid system on all vehicles in North America. This consist of a 48-volt hybrid system with an 8Ah lithium battery. This will always cut off the engine when traveling under 11 m.p.h., as opposed to start-stop technology which only shuts it off at a standstill. A starter-generator helps with needed oomph at these speeds. It also helps remove turbo lag and increases response in stop and go traffic. Here, we will get the 4-cylinder Ingenium engines and a 9-speed automatic gearbox. The Evoque has never pretended it was a Defender, and although there was some emphasis on off-road capabilities at the launch, very few owners will use them. Nonetheless, it is likely relatively more capable than any other small luxury crossover. With this new generation, Land Rover hopes to crest a million overall sales for the Evoque in a few years. It shouldn’t be hard at all.